We will start our 6th Oz Adventure later than usual this year as we are going back south, a very long way south into the Southern Ocean to visit Tasmania. It is a place we should have visited a few years ago but in our normal travelling time of October/November it is still pretty chilly. January/February is the warmest time of year so we are taking the opportunity to do it this year. Tasmania sits 150 miles across the Bass Strait south of the Australian Continent. It is the 26th largest island in the world measuring 226 miles in length by 190 miles wide. Years ago the capital Hobart was often referred to as Slowbart as nothing much happened there. Tasmania was literally a non-event but how things have changed. Today Tasmania is one of the worlds hot spots to visit. With a fabulous growing climate and surrounded by sea it is a foodies paradise with Hobart’s Salamanca Market a must to visit. The World Heritage Port Arthur convict site is the best surviving example of large scale convict transportation. 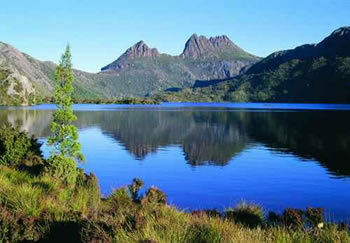 Tasmania also boasts fabulous wilderness areas and a rugged coastline. We will certainly visit the Freycinet Peninsula and the dazzling white sands of Wine Glass Bay set in one of Australia’s most beautiful natural environments. 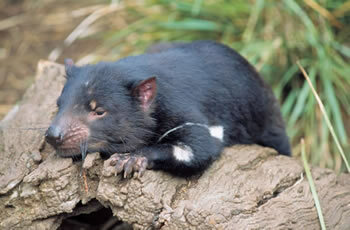 There is also great wildlife so we may possibly come across the now endangered Tasmanian Devil. Our Adventure will start with a 3 day stopover in Malaysia’s capital Kuala Lumpur followed by 2 days in Sydney before we pick up our camper van Geoffrey and start a 1000 mile journey back south. On the way we plan to visit Bathurst, home of Mount Panorama motor racing circuit. We will also spend some time in the Snowy Mountains (Australian Alps) a true alpine wilderness. Kosciuszko National Park boasts the continents 5 highest peaks and it’s only glacial lakes, the hike to the summit of Mount Kosciuszko being regarded as Australia’s finest one day hikes. As usual we will cover around 5000 miles and of course plans will change as we go along. We will try to keep you up to date with regular diary entries.